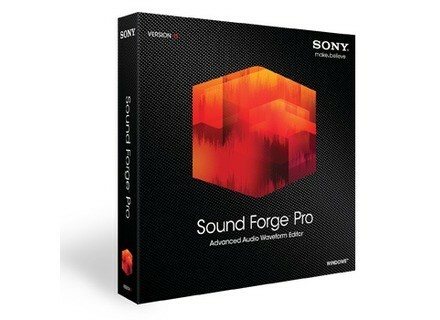 Sound Forge Pro 11, Digital Audio Editor from Sony in the Sound Forge series. 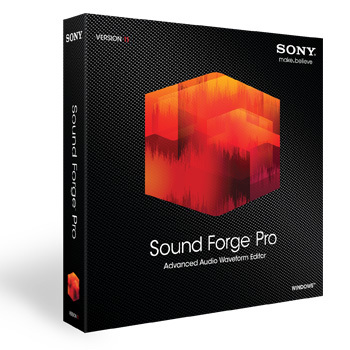 Sony has launched Sound Forge Pro 11 and SpectraLayers 2, the latest versions of its audio editors. Sound Forge Pro 11 is available for $399.95 and upgrades from any previous versions of Sound Forge are offered for $199.95 and $329.95 for Forge Audio Studio users. It is only available for Windows. SpectraLayers Pro 2 is available for Mac OS X 10.7 / 10.8 and Windows Vista, 7 and 8. It retails for $399.95 and you can upgrade from Spectra Layers Pro for $199.95. You can also get both softwares bundled in Audio Master Suite, which also features CD Architect 5.2 and a 1600+ sound library (Sony Sound Series, $498 value). It is available for $599.95. If you decide to purchase Sound Forge Pro 11 or SpectraLayers Pro 2 and complete the bundle later, the upgrade retails for $329.95. Kymatica launches an effect series for iOS Kymatica has launched on the Apple AppStore the first of its new AUFX Series apps, the AUFX:Space reverb.